Very comfortable stay. Friendly staff. Location is somewhat sketchy but not far to walk to Delhi Train Station and market area. Location is ok , budget hotel . Cheap and quality food, staff overall very accommodating, plenty of TV channels. My stay went very well. The staff were extremely accommodating from the get-go, the room service was excellent (despite the fact that the guy who always answered the phone didn't seem to know that much english) and despite it's location in the heart of an inner-city slum, I always felt safe enough within its walls. The biggest knock against it is its location. I'm actually extremely surprised that much a well-run and relatively clean hotel is located in such a dodgy part of town, but I suppose it's further testament to the owners that it's as good value for money as it is. Would stay there again, although perhaps I'd bring a surgical mask with me whenever I have to walk to the metro station, and earplugs to block out the endless car horns when I'm trying to sleep. I suppose that's the reason why it's a budget hotel though. The best thing about this hotel is the travel manager TINKU. He arranged a great tour for us and we had a great time in north india. The best thing is the hotel travel tour manager TINKU who arranges an excellent tours anywhere India. For a budget hotel, it wasn't too bad. 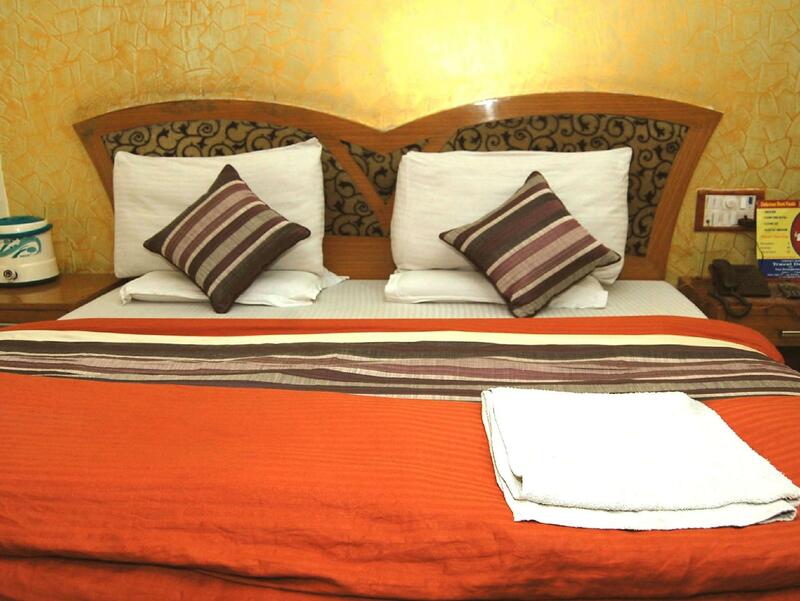 The room was spacious & comfortable, and service was good & staff friendly. Blackouts now & then - usually short term - but remember to switch the hot water system back on after them or you will have cold showers, otherwise good hot showers - it was very cold when there. Avoid street facing rooms on lower floors - VERY noisy street. Proximity to transport is great - metro & New Delhi mainline station close walk & tuk tuk to Connaught Place area for about 100 rupees or under, depending which part you are going. The rooftop has great views of the surrounding areas of the city & is a relaxing spot as the sun goes down to get away from the traffic below. Food is not bad. The thing that really was annoying to the extreme was the tour operator guy (others have mentioned him here). Calls to the room constantly about appointments to organise my travel in India - and he wouldn't take no for an answer. I finally sat down with him & he offered me ridiculously expensive tours & insisted plans I already had were wrong and "no one goes there this time of year" or "no one travels by train to go there" and so on ad nauseum. His solution was always a very expensive alternative option to go somewhere else & cancel my current plans. Fortunately I didn't listen to him & had a great time - everything he said turned out to be nonsense. I nearly did book a car day trip to Agra with him, but went & got quotes at 2 other places which were nearly half his prices for the same thing! He was easily the worst thing about the place, but otherwise it wasn't too bad overall. Time, wear and tear has turned this hotel into a dreary one. The reviews and the photographs did not meet my expectations. Was a let down especially when I had communicated by e-mail and phone to inform of my arrival time and pick-up to be left waiting at the airport. However, all this was made up for when I was offered a ride to the train station the next day. The driver who took us from the airport and droped it was very nice guy his name is SHAMU, he help me a lot and we was very kind all the time, thank you very much to the all team, the hotel has a good value for the location!!! It was so so, the location wasn't so good but then staff tried to do they best. Metro station, pretty close. Liquor shop, right next door. Eateries and restaurants nearby. 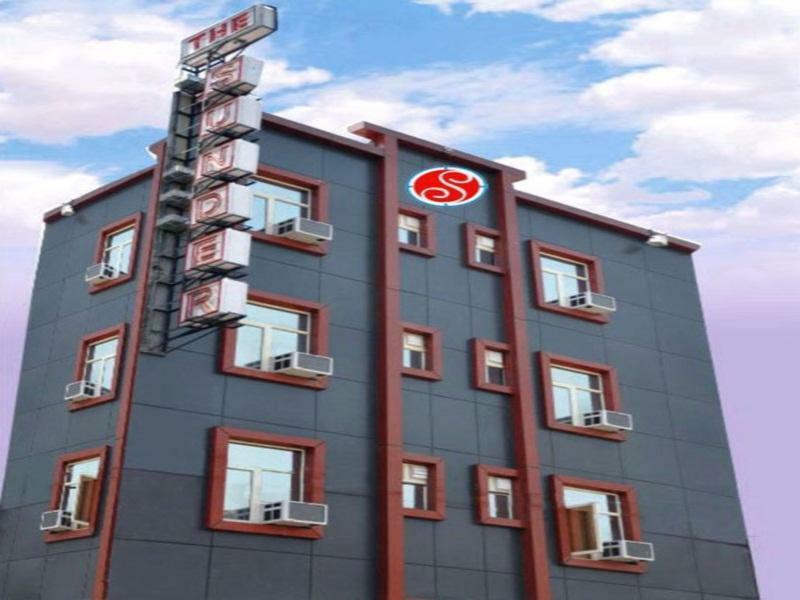 Reasonable hotel in India (among budget category hotels). I stayed at half a dozen hotels in India to date, and I can say that this is a good hotel (value for the money). Sure, this is no 5 star hotel, but there is nothing particularly wrong with this hotel, either. Hotel staffs are fine. I do not name a name, but I personally know one hotel **** cough *** Hotel R. in Karol Bagh *** cough *** where every staff acts like an a**. (During my stay) everyone working at this hotel acted pretty friendly. 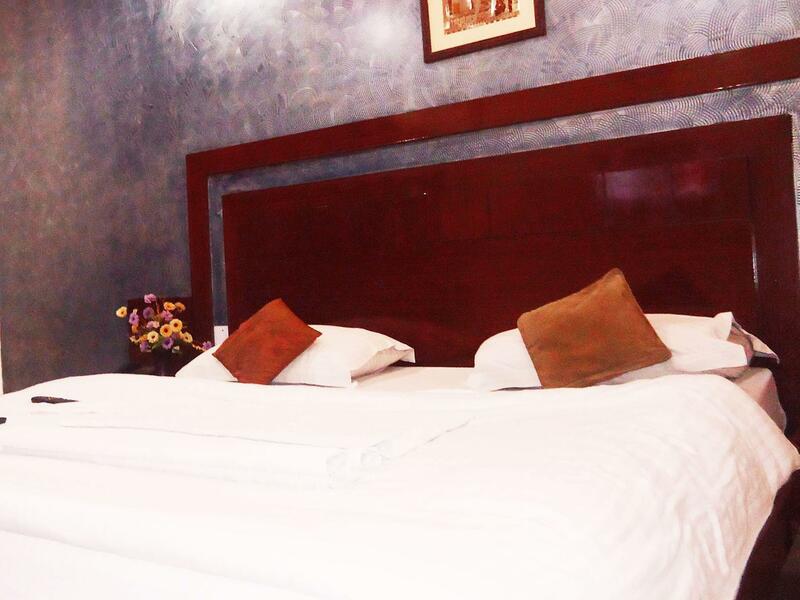 The hotel is situated near Connaught Place. If you are physically fit, you can walk to CP. Same as New Delhi railway station. Of course, if you’re catching a train to travel to a different part of the country, you need to hire a 3 wheeler or taxi though, because it’ll be pretty difficult to move around with a big suitcase and what have you. Let’s see …. plus points. Liquor shop is located right next to the hotel. Metro station is also pretty close. There are a fair number of eateries and restaurants nearby also. Infamous Sita Ram is 10 minutes walk from the hotel. U-Like restaurant is 8 minutes walk(?). The guests can also arrange tours at the hotel itself. Pretty convenient; no need to walk into a questionable travel agency in the neighborhood. I took a tour from this hotel, and it all worked out. What else …? Again, this is no 5 star hotel. This hotel is nothing like Ramada or Taj, but if you are a budget traveler, this hotel is all right. clean and quiet stay. staff was friendly, but the room service food was not very good. hot shower didn't work in mine or my friends room. however, beds were comfy and staff was pleasant and made usnfeel safe, so a nice budget hotel. rooms are not very clean, street outside is under construction and noisy. The staff are nice but sort of incompetent. When you check in, a "travel agent" will try to arrange city tours for you. Don't arrange anything with him. They didn't answer my emails asking for airport pickup, but they did take us to the airport for free instead. ok the stay was very conjusted the rooms were not clean enough.... ok for adventourous tourists . I was stay at this hotel first time. I was scared about room, but my thinking was wrong room was very nice & clean. 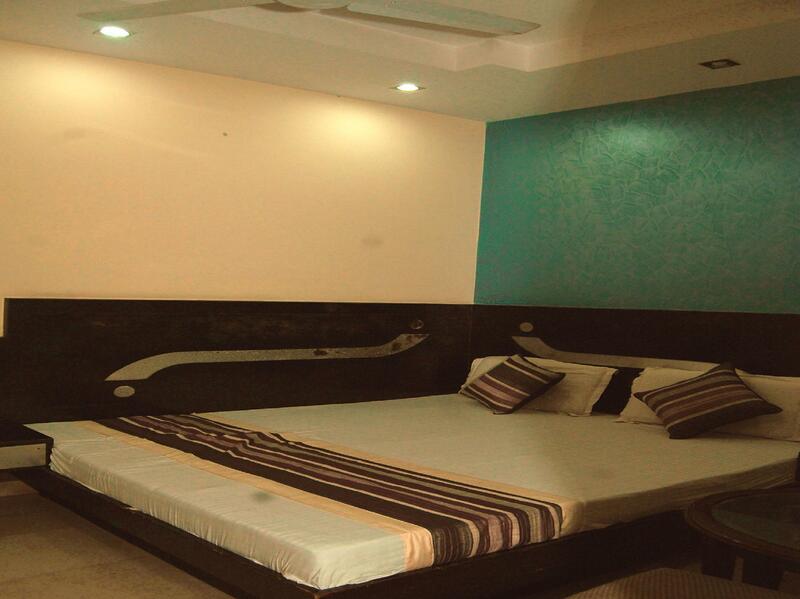 Nice budget hotel in new delhi. Good place to have full information about the city from the man offer tour and divers visit from the local activity. The room was not so clean that show the picture on line and the bed was a bit dirty, bathroom was dirty, towel too, room was noisy, cockroach was available too in a room. Food from the hotel are not, actually come from outside and not so good... This hotel show a 3 stars but for myself i will give only 1..
Me and my friend stayed at the Sunder for two nights after she'd just gotten to Delhi. We wanted to stay somewhere central and comfortable, while acclimatising to the Indian summer. The Sunder has a great, central location, nice rooms with fresh colours and a very friendly and helpful staff. We really didn't have much of an idea for where we were going to go after Delhi, but the hotel's travel desk helped us arrange a very successful trip to Rajasthan. Thank you so much for great service! The hotel itself was fine. We arrived and checked in and within half an hour the phone rang...it was the tour manager of the hotel offering a free map of Delhi. Overall the Hotel Sunder is fine but Ravi the tour manager is untruthful, so just a warning not to book anything with him! generally the hotel is ok, location wise it is located quite far from the rest of the hotel 4 tourists, not suitable for single ladies come back fr agra/jaipur trip at 3/4 am. suitable 4 those who like quiteness. hotel mana. provide useful tips/advice on places to visits and the best/cheapest mode to reach the destination around delhi,useful 4 single & adventorous traveller.food price cheaper than outside, taste, acceptable. Two of the three rooms were very good and clean. The staff were attentive but lack of English meant the breakfast orders were confused. Definitely worth a try. สถานีรถไฟใต้ดิน Ramakrishna Ashram Marg - ระยะ 0.96 กม.